Trex takes the natural beauty of wood, but leaves behind all the rotting and splintering. You won't miss the splinters and neither will your feet. Trex is also a breeze to maintain, so you'll spend more time relaxing on your deck instead of working on it. And Trex is soft and smooth to the touch, so feel free to kick off your shoes and make yourself at home…outside. 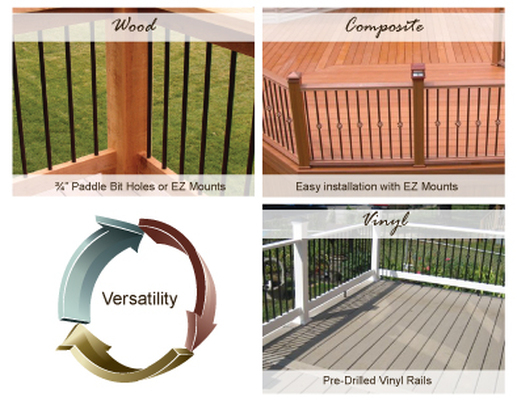 Trex offers more creative freedom than other decking materials. Its style options include not only the ability to physically bend and shape, but also a variety of colors and textures to choose from when crafting your perfect deck. Treated with a wood treatment process that has earned a number of environmental certifications. Durable and designed for outdoor construction. Lifetime Residential and Agricultural Limited Warranty against structural damage caused by fungal decay and termites for above ground, ground contact and fresh water contact applications. See warranty for specific provisions. Limited 15 Year Warranty for Fence Boards. See warranty for specific provisions. 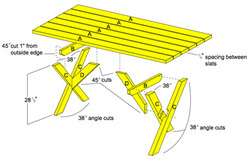 Use for many different building projects such as fences, structural lumber, sill plates, outdoor furniture, patios, decks, garden edging, and landscaping structures. Building code compliant. ICC-ES Reports, ESR-2240, ESR-1721. Copper-based preservative with a co-biocide. 4 x 8 CDX- 1/2", 3/4"
Fire Rated CDX 4 x 8- 1/2", 3/4"
Following pressure treatment, KDAT products are placed in a large oven, or kiln, where excess moisture is removed and the wood is returned to its original moisture content. This process offers a controlled environment and the wood is dried evenly, helping minimize the natural tendency of freshly treated wood to shrink, cup and warp.